This article will help you understand the basic organizational structure within Docs. You'll also learn how to manage collections and categories. What are Collections and Categories? Think of a collection as a bookshelf. Each collection covers a different topic, product, or department. Depending on how you structure your documentation, you might need one collection or a couple of collections. 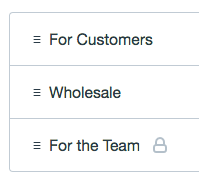 In our example below, we use 3 collections: For Customers, Wholesale and For the Team. Because information for customers and wholesale will be completely different, it makes sense for content to be separated in to different bookshelves, or collections. For the Team is a private collection, so it's not visible on the public website. You'll see collections appear on the top navigation bar of your public Docs website. Everybody loves a neat, organized book shelf, so don't get too crazy with multiple collections. Categories are books on your bookshelf, and each collection can have separate categories. Articles are like the chapters within each book. Articles can belong to multiple categories, so your customers can find what they need in multiple locations. Here's one point we want to drive home: articles cannot belong to more than one collection. If you find yourself needing the same article in two collections, you might want to turn those collections in to categories instead. We recommend having some structure setup before you start relentlessly pecking away at your keyboard to write articles. 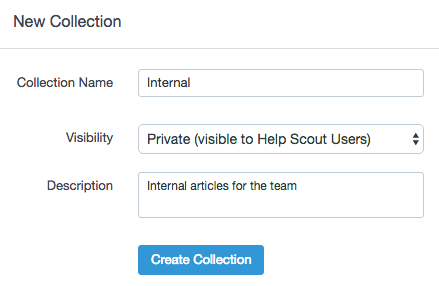 Let's walk through creating and managing collections. To get started, head over to Manage → Docs, then click the Docs site you'd like to create or manage collections for. To create a new collection, just click the New Collection button at the top of the page. 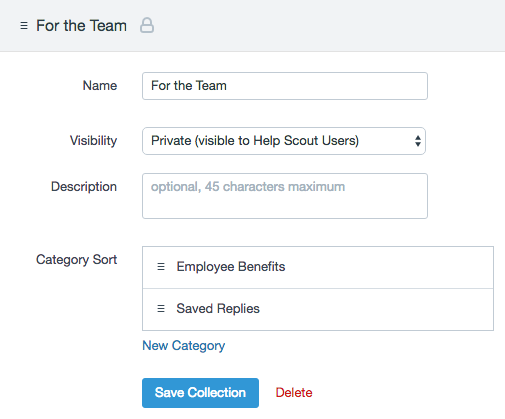 Name your collection and select a visibility option. If you need to rearrange how your collections (bookshelves) appear in the navigation bar, place your mouse cursor over the bar icons and drag and drop as you see fit. 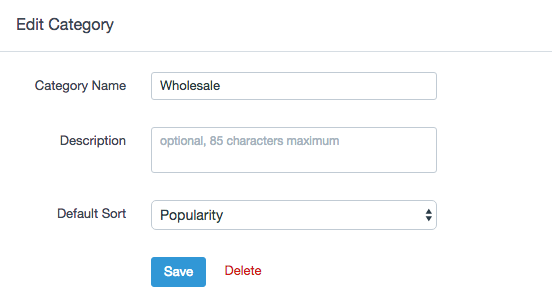 Clicking on a collection lets you customize the name, visibility, and category sorting order. You can modify collection settings whenever you'd like. If you don't have any categories just yet, create one (or a few) before moving on. You can reorder categories by dragging them up or down on the page. Don't forget to save your changes. If you delete a collection, any existing articles or categories that belong to that collection will also be deleted. From the New dropdown menu on the sidebar. From the Collections page, when you create or modify a collection. While working on an article, from the categories sidebar. To update or edit a category, just click on the category name from the left-hand sidebar, then click the same category name at the top of the page. If you delete a category, any existing articles that belonged to that category will be marked as uncategorized.